After reading this book by Paul Bloom, the Iron Fist has a new theory. The secular movement spends too much time trying to persuade people with rational argument. 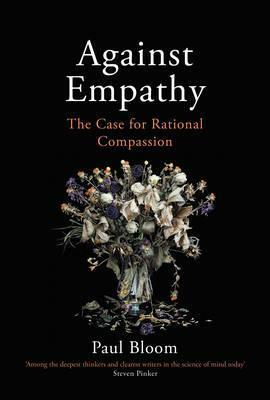 instead of building an argument based on rational premises, statistics, ethics and philosophy we would be much better off trying to generate empathetic responses. So, if we take the example of special religious instruction in schools, instead of referring to the enrollment rates and the percentages of families who are religious and the difficulties with administering the system we should paint a picture of a non-religious child separated from her friends who is virtually placed in a broom closet on her own while the special religious instruction class takes place. A video or picture of that girl with a tear running from her eye as she sits all alone will perhaps achieve more than a 1000 page report using rational arguments. In a divided world, empathy is not the solution, it is the problem; a source of prejudice, not kindness. We think of empathy - the ability to feel the suffering of others for ourselves - as the ultimate source of all good behaviour. But while it inspires care and protection in personal relationships, it has the opposite effect in the wider world. As the latest research in psychology and neuroscience shows, we feel empathy most for those we find attractive and who seem similar to us and not at all for those who are different, distant or anonymous. Empathy therefore biases us in favour of individuals we know while numbing us to the plight of thousands.